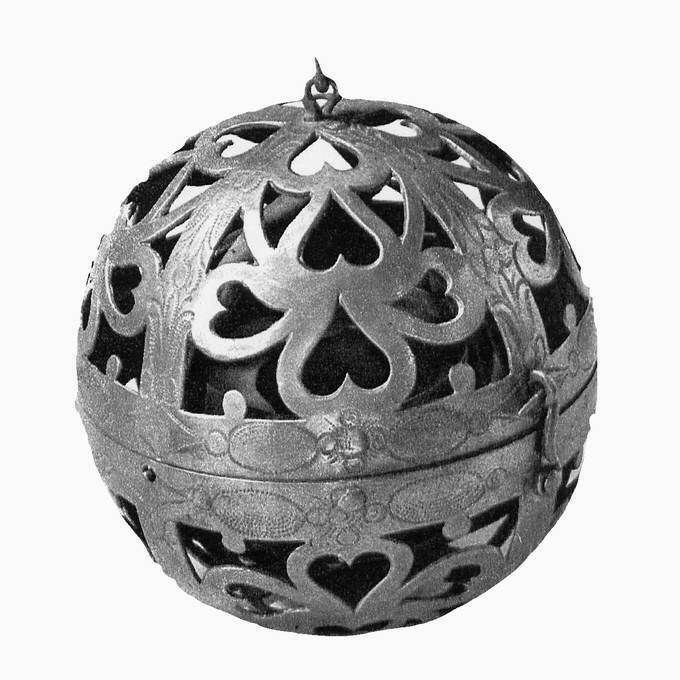 Period: 1622 Location: Novgorod State Museum of History, Architecture and Arts. 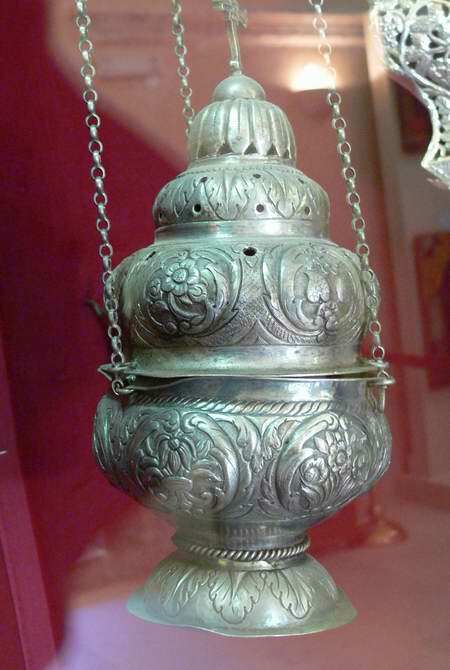 Description: This seven dome-shaped incense burner came into the museum in around 1930 from the vestry of St. Antony's monastery. 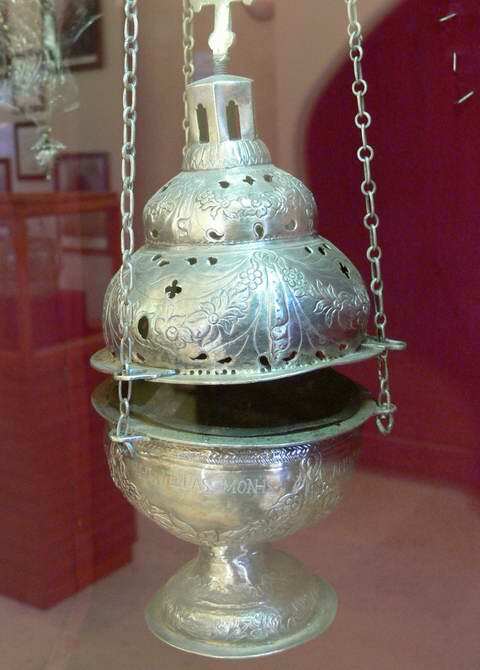 Small, shingled, onion-shaped domes are affixed on the high slim drums with arrow-shaped windows. 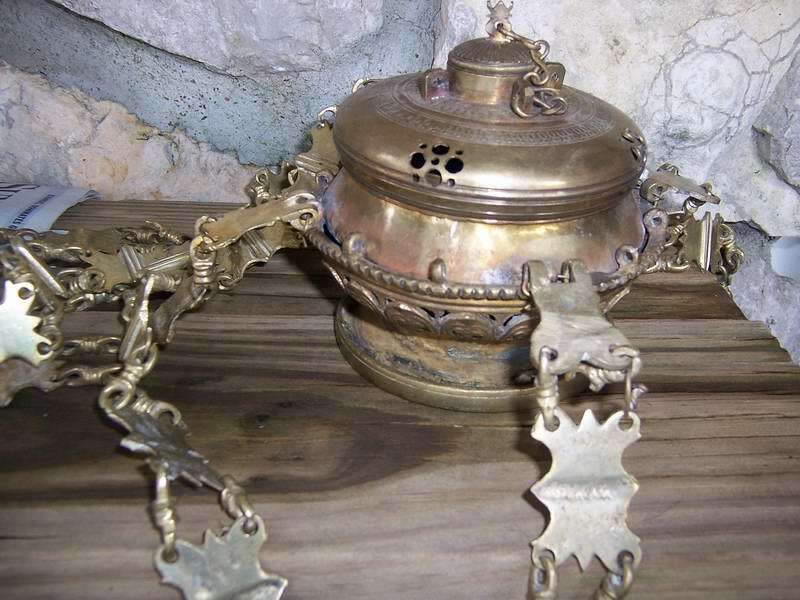 It has annulated chains which are fixed to the body's bowls through the double tags. 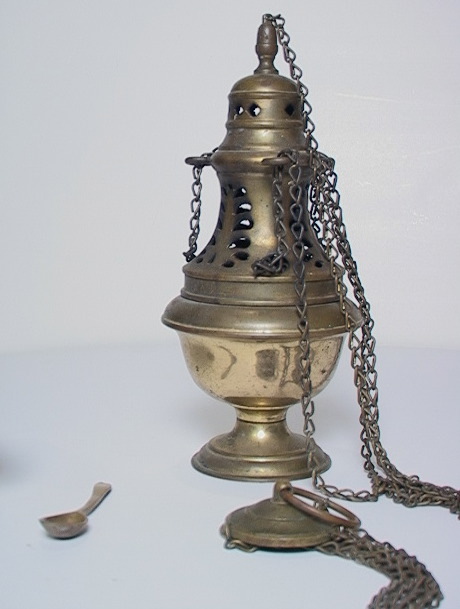 Description: This is a brass censer from India. It has 3 sets of three-quatrefoil perforations around the body, with three-quatrefoils spaced around the lid. 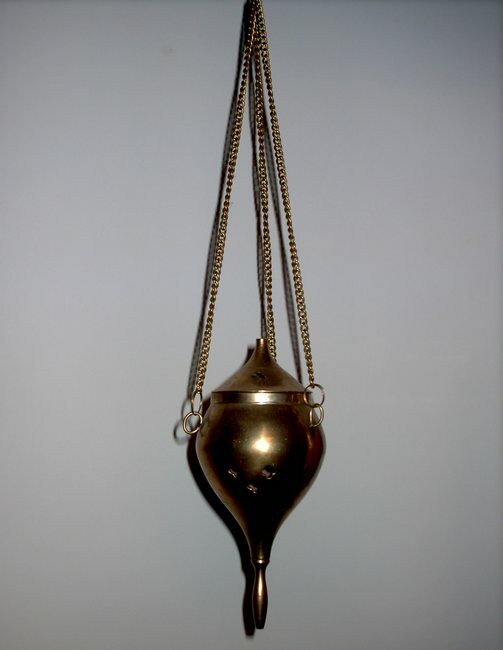 Suspended by three chains, the body and lid measure 6 inches in length. 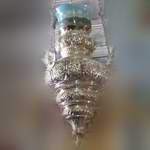 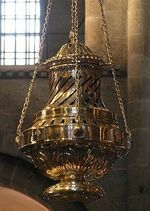 Description: The Botafumeiro is a famous thurible found in the Santiago de Compostela Cathedral. 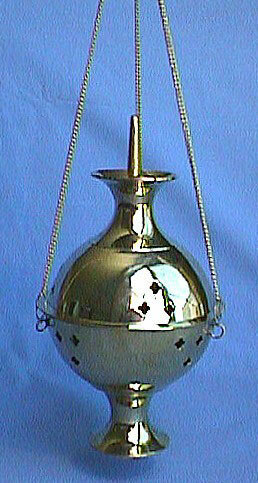 Incense is burned in this swinging metal container, or "incensory". 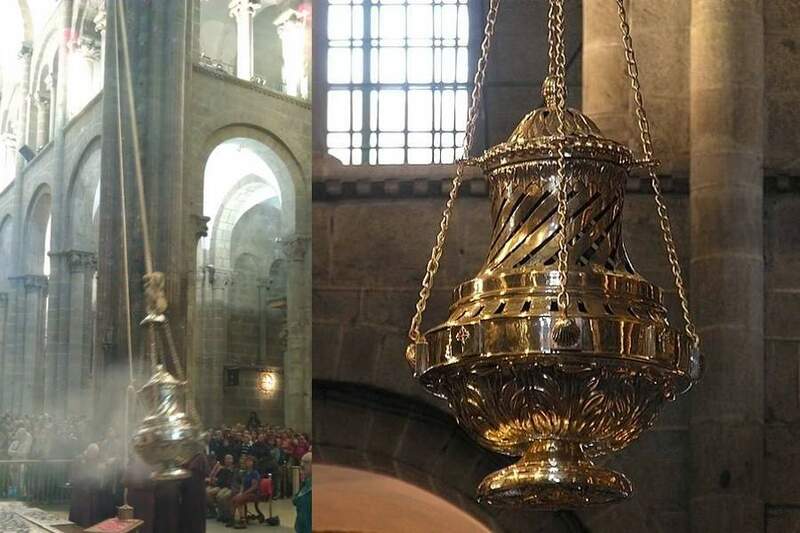 The name "Botafumeiro" means "smoke expeller" in Galician. 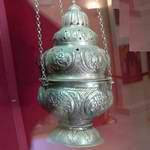 It is made of an alloy of brass and bronze and is plated by a very thin 20 micrometre layer of silver. 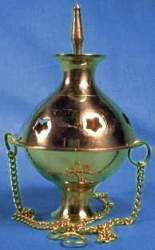 The current Botafumeiro was created by the gold and silversmith José Losada in 1851. 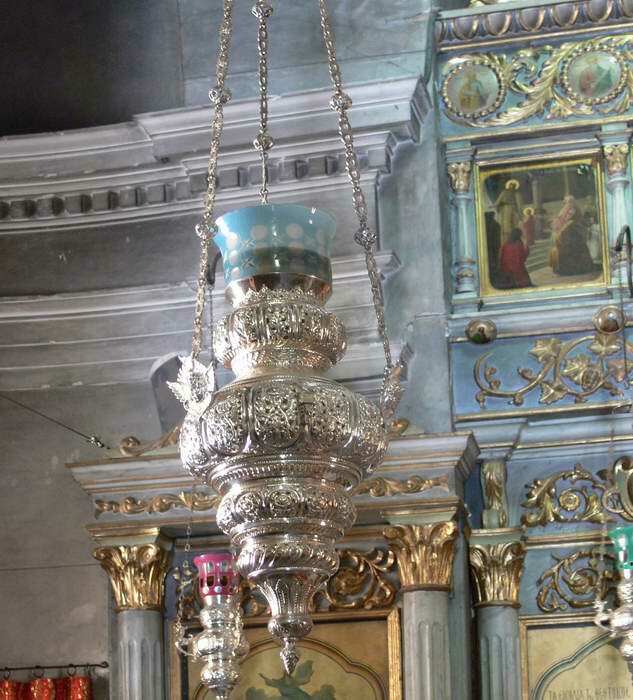 It is one of the largest censers in the world, weighing 80 kg and measuring 1.60 m in height. 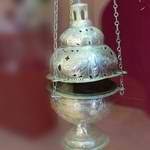 Description: Spherical incense burner brought over from Greece in 1912. 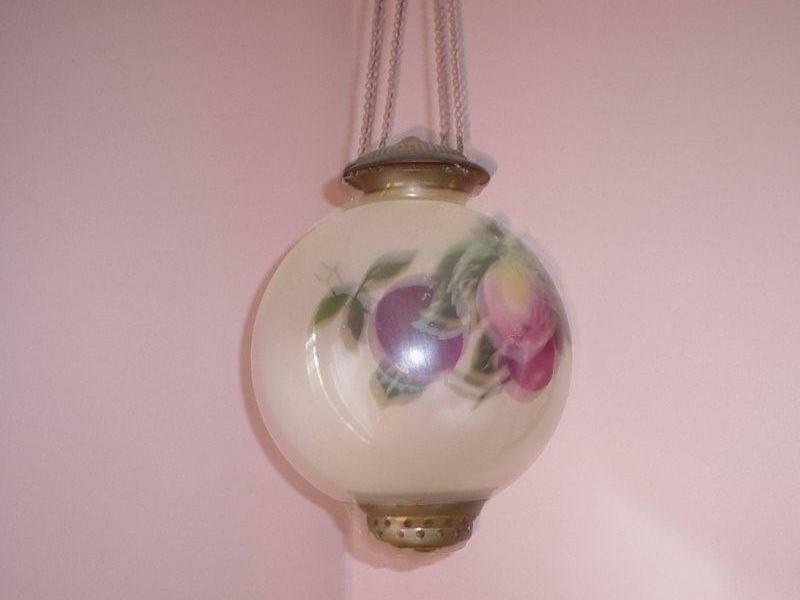 The globe is made of glass with hand painted fruit. 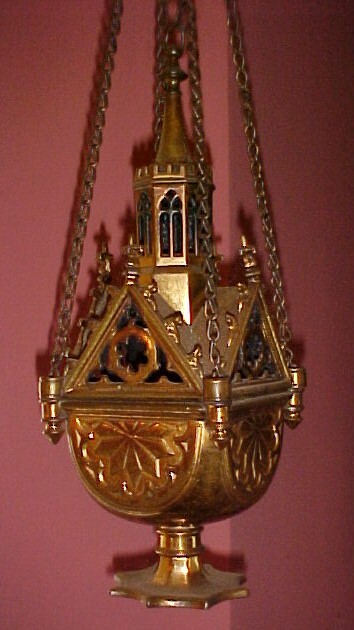 The chains and base are made of brass.